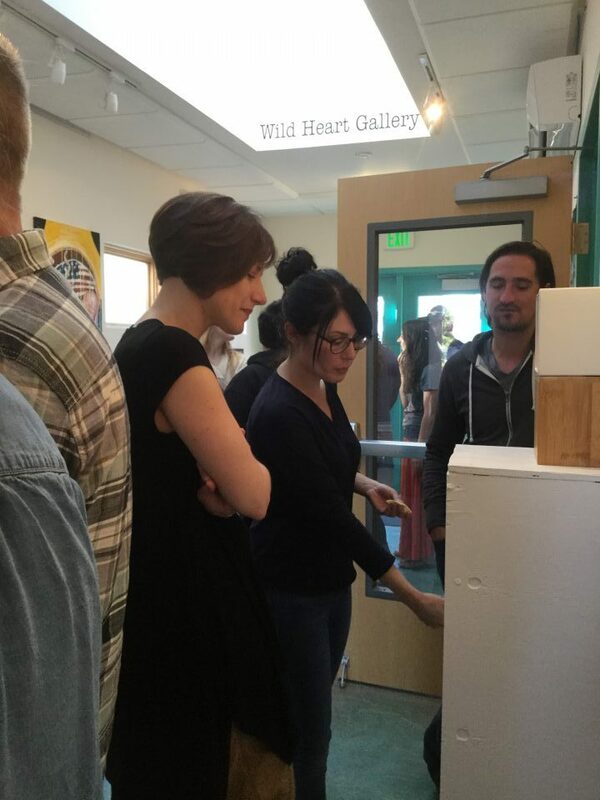 The term, “manifold” can be described in a number of ways, but in application to the latest Wild Heart Gallery exhibition, means “having numerous different parts, elements, features, forms, etc.” This show’s theme centers around visual narrative investigation of Southwestern College staff, faculty, and students into the sacred pieces which formed their journey to knowing the self, community, and other. 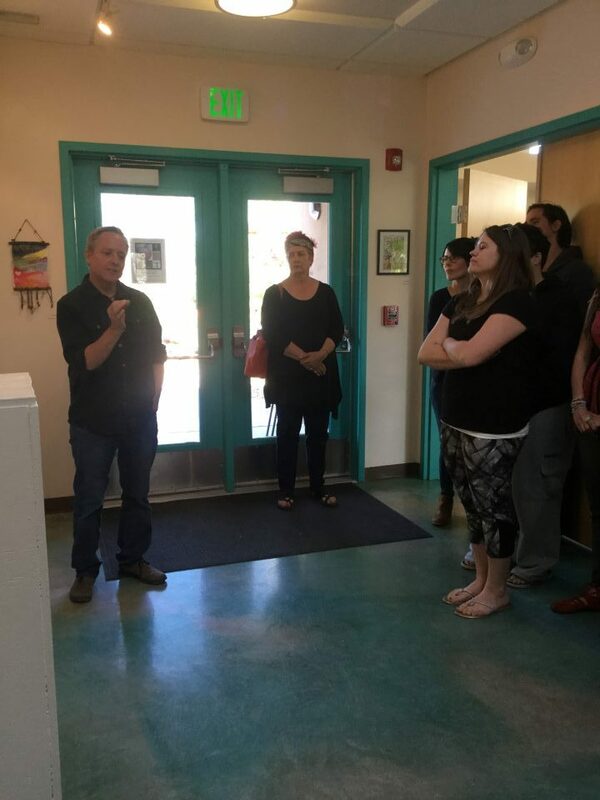 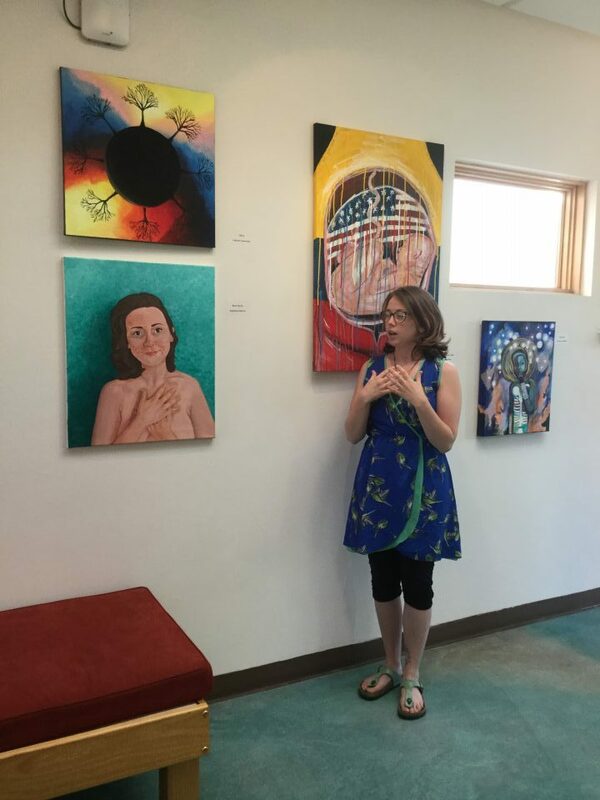 Much of the work was inspired from the experiences in the first year classes of Multicultural Perspectives in Art Therapy/Counseling with Diverse Populations and Archetypal Psychology. 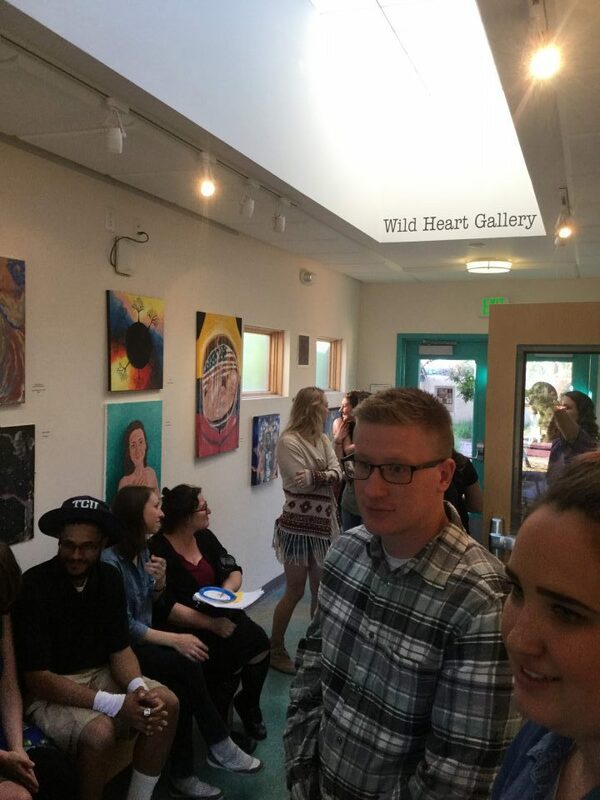 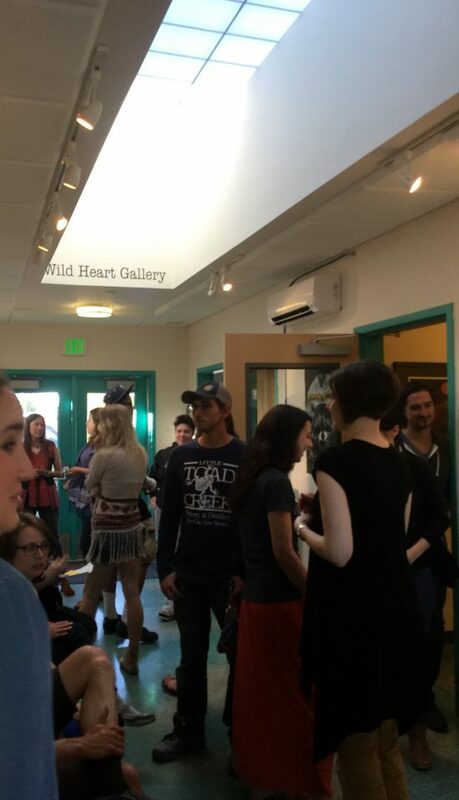 The opening night gala took place on Monday, May 22nd from 6p-8pm, in the Wild Heart Gallery. 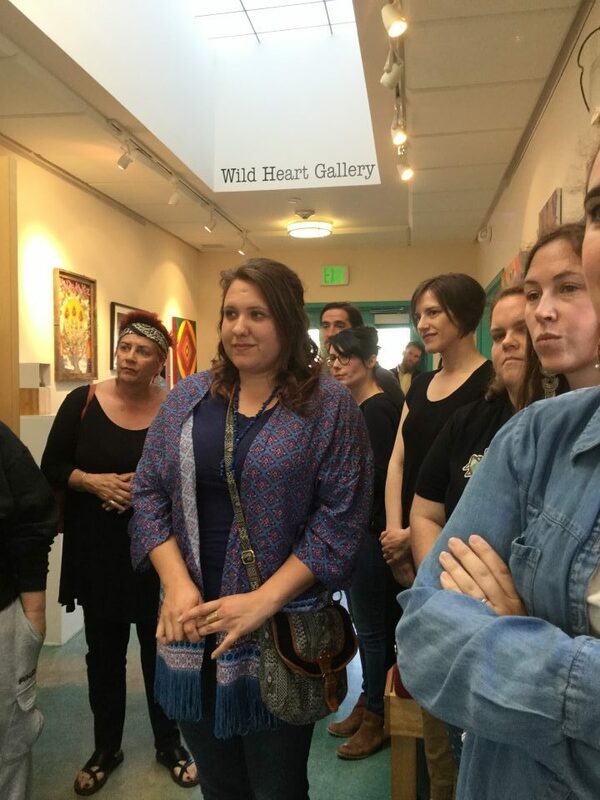 A handful of brave artist spoke to a large crowd about the significance of the work they submitted to the gallery. 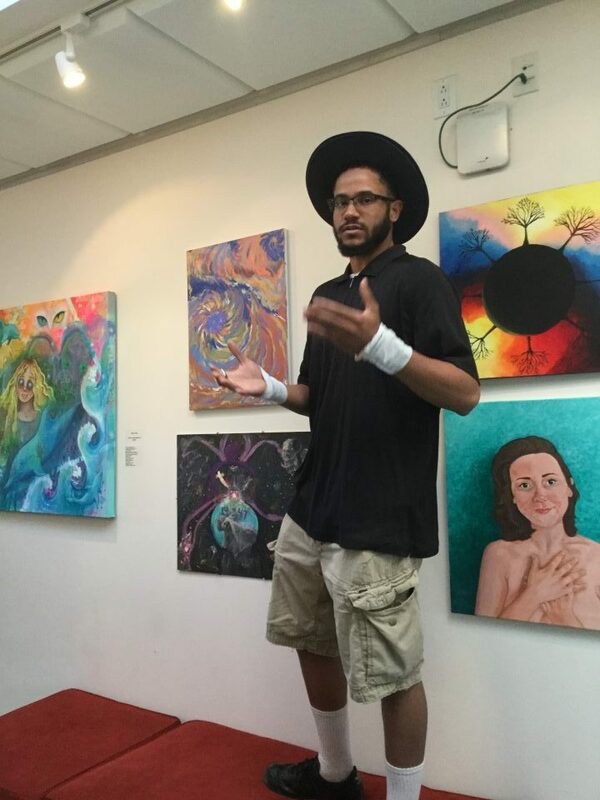 After the artists spoke, the audience broke into uproarious conversation, filling the space with incredible energy.